This post is adapted from a presentation given at the E-Learning Africa 2015 conference in Addis Ababa, Ethiopia. Africa Talks Founder and Editor Salem Solomon presented about the training needs of African journalists and unveiled plans for a new online learning platform on Africa Talks. Africa Talks has always been about providing thoughtful analysis on issues affecting Africa and its global diaspora. Now, we want to help African journalists tell their own stories with a first-of-its-kind e-learning platform. What if an online training platform were built, from scratch, with African journalists’ unique needs and interests in mind? What would this platform look like? What courses would it offer? How would it differ from existing resources? These are the questions we’re asking as we embark on this new project. To build effective training, it’s important to first understand what journalism looks like across Africa. Newsrooms around the continent vary considerably from one country to the next. In Kenya and South Africa, you’ll find journalists equipped with all manner of modern technology. In the Democratic Republic of the Congo or South Sudan, reporting tools will often be little more than pen and paper or rudimentary recording devices. In these less developed countries, news is still precious, and it’s common to see newspapers handed from person to person or laid out on sidewalks held down by stones so people can get the day’s news. 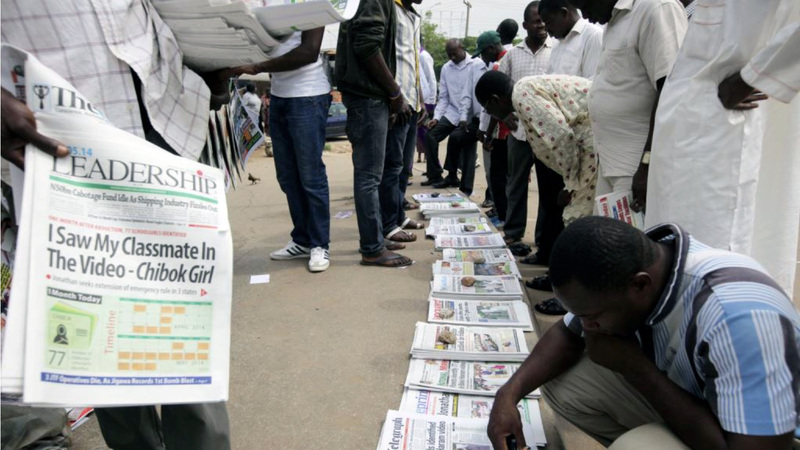 In some African countries, it’s not unusual to see crowds reading newspapers that have been laid out on sidewalks. Here are some specifics: Namibia ranks 17th out of 180 countries on the 2015 World Press Freedom Index, but Eritrea ranks 180th. South Africa has a vibrant media landscape, with many public and private publishers and broadcasters. In Sudan, information is routinely filtered and censored, with extensive government control. Technology adoption also varies widely. Across the continent, Internet adoption rates range from under 2 percent to nearly 75 percent, based on data from the International Telecommunication Union and World Wide Worx. Radio remains a dominant communications platform across Africa. Meanwhile, mobile subscriptions continue to surge. Africans get their news from many platforms, but radio remains essential to African journalism and communications in general. It is the most accessible mass communications platform. 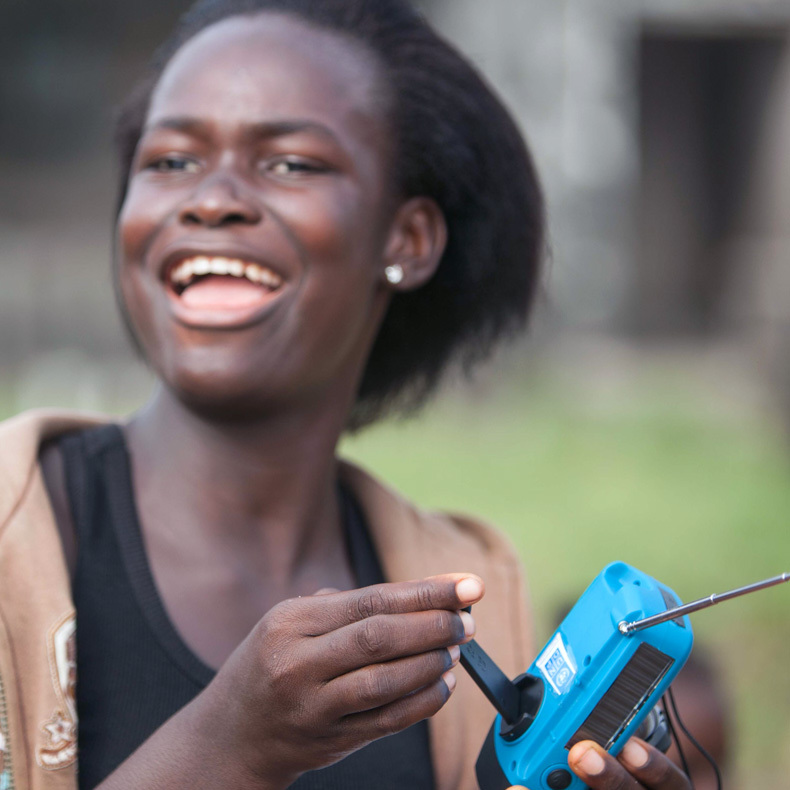 In isolated parts of the continent, radio broadcasts provide an effective way to reach large numbers of people. This puts a special emphasis on training around audio production and writing for broadcast. Most Africans listen daily, according to the African Media Development Initiative. Meanwhile, Africa has the world’s fastest-growing mobile market. 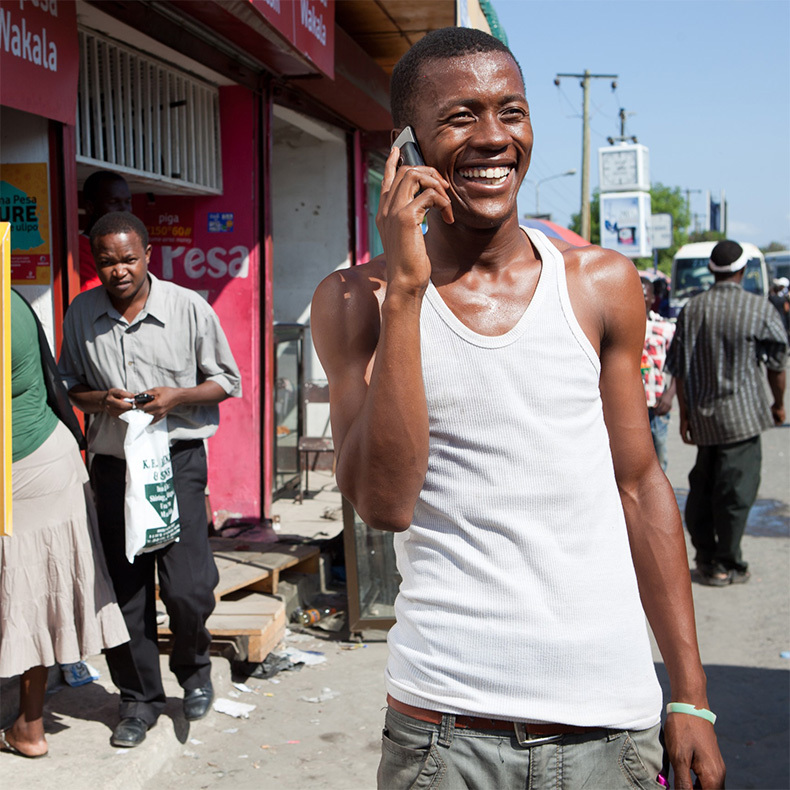 In 2000, the continent had 10 million mobile subscribers. There are now over 800 million subscribers across Africa. Falling prices for services and handsets suggest the trend will continue. Put simply, the media landscape across Africa is diverse and constantly shifting. Journalism training isn’t just an African issue: It’s important everywhere, given the fast pace of change in the publishing and broadcasting industries worldwide. Africa’s tremendous economic growth, political reforms and social changes have intensified the need for a strong fourth estate. Amid these developments, journalists play a vital role. They hold the powerful accountable and engage the public in debates around critical issues. The need for training in Africa has been documented since the early 1960s. According to a 1962 survey by journalist and publisher E.J.B. Rose, most media houses were historically run by colonial powers. Local Africans participated in the technical side of news production, with little say in editorial decisions. This created a significant need for professional development when European owners left the continent. 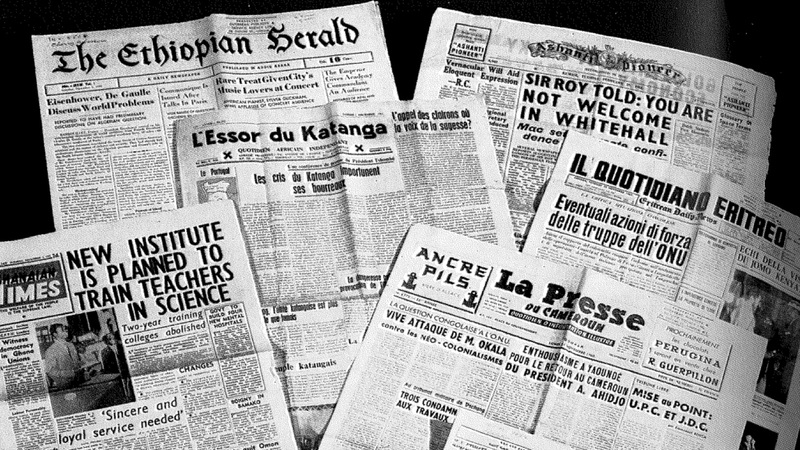 A collection of African newspapers from the 1960s. In many countries, the African press continues to face significant challenges. These barriers include limited resources and equipment, inadequate compensation and threats from businesses and governments who want stories told certain ways — or not at all. 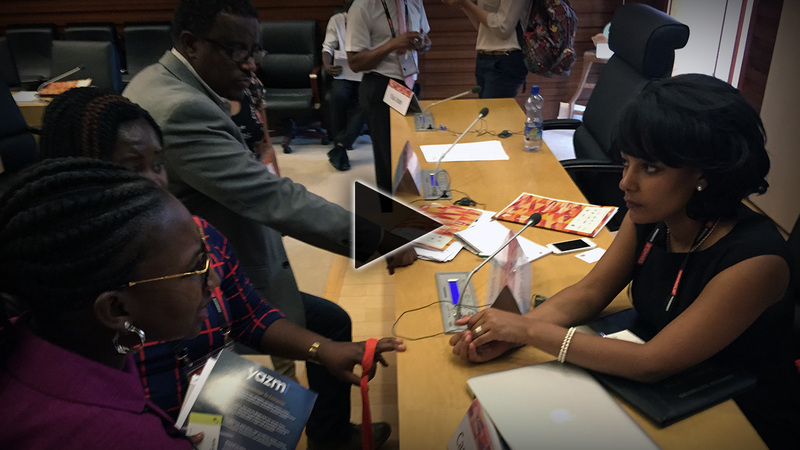 The bottom line: African journalists need access to high-quality training developed with their unique needs in mind. It’s cost effective at institutional and individual levels. There are no travel costs. Many online courses are free or low-cost. Physical training institutes can reach local or regional audiences, but distance education is best-suited to help the largest number of journalists. An e-learning platform can help journalists in newsrooms across the continent with an up-to-date, consistent curriculum. There’s built-in flexibility — different training formats, time commitments, delivery methods (text, video, interactivity) can be provided. For a full-time journalist, he or she can work on a course during the weekend or take a self-directed module during a lunch break. Online provides additional flexibility to trainers and content experts as well, allowing for an expert staff to be assembled from anywhere. Direct interaction between trainers and participants is still possible. Online training can be accessed multiple times. It’s an archived, ongoing resource. It creates opportunities for networking with other journalists, professionals, academics across the continent. It helps journalists see the potential reach of their work; the training is global, and so too can their work be. African journalism schools have an important role to play in preparing future journalists for the critical work they will undertake. But, ongoing professional development can significantly enhance the quality of journalism, especially in a climate of rapid technological change. Digital innovations have affected how journalism is practiced and paid for. The skills and standards young journalists learn in school will shift as they progress in their careers. Professional online training is complementary to academic programs. Students can access training materials and complete online lessons as part of their coursework. African journalism schools have an important role to play in preparing future journalists for the critical work they will undertake. Worldwide, Poynter’s News University is the most popular source of online training for journalists. Poynter’s NewsU has over 300,000 members, including professional journalists, educators and students. Several thousand journalists across Africa access NewsU, but the content — and the platform — aren’t designed with the unique training needs of African journalists in mind. 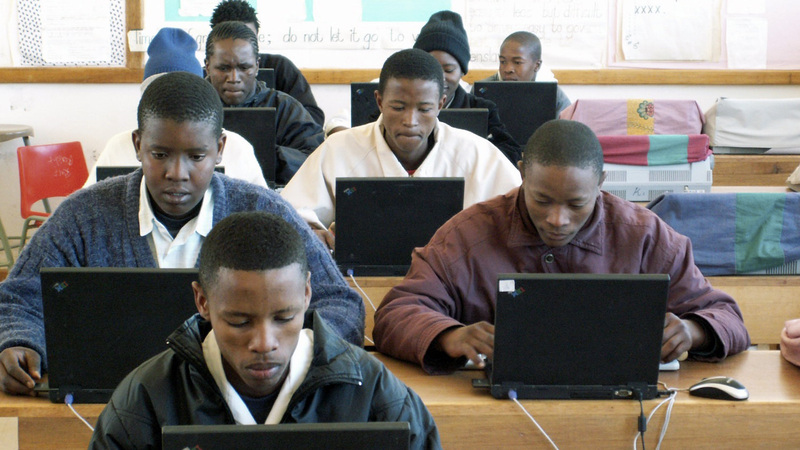 There are a number of general e-learning projects across Africa. While these do not meet the needs of journalists specifically, their platforms and content will inform our work. These projects include Funda, Tutor and Obami. Existing training materials tend to be western-centric. Law is one good example. Different countries have different constitutions and regulations around press freedoms, copyright, privacy law and dealing with sources. To be effective, training must reflect these local realities. Cultural differences often aren’t accounted for. The art of the interview, for instance, isn’t the same in every region. It’s often important to establish rapport before launching into interview questions when talking to African sources. Certain topics are of particular interest to African journalists, for example, covering migration. The importance of a mobile-first delivery approach. The need for access over basic feature phones and SMS. The value of low-bandwidth delivery given that connections can be slow, and data can be costly. We’ll focus on transcripts and other free delivery methods. Language is another important consideration. Thousands of languages are spoken across the continent. Although the Africa Talks training platform will launch in English first, there is significant potential to translate content into French and various African languages. The Africa Talks training portal will focus on skills-based courses that cover topics from fact-checking to digital skills. Users will enroll in training and access free and low-cost materials from experts in the journalism industry. In developing the training portion of the Africa Talks platform, a key goal is to bridge editorial and educational content. We will actively explore connections between news content and learning materials and take advantage of Africa Talks’ custom design to build seamless connections between the two. The primary goal of Africa Talks is to raise awareness of the complex realities facing Africa. 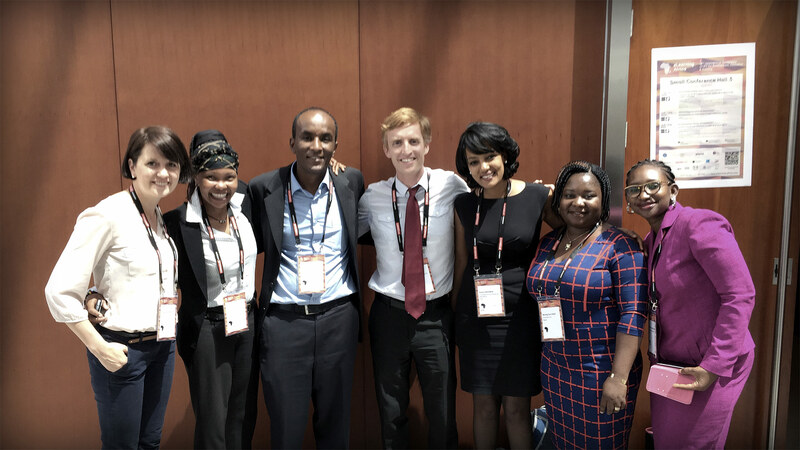 Developing a prominent training component will contribute directly to this goal by empowering those in the best position to tell the world about Africa’s stories: the journalists on the ground. A new platform provides an opportunity for innovation. We want to learn from existing projects and incorporate elements of what’s proven to work. But we also want to experiment with new models and approaches. We plan to monitor how participants use of our materials, perform both formative and summative evaluations, and refine our approach over time. Eventually, we anticipate participants who go through training on the site can become contributors, with Africa Talks becoming a platform for their work.